» Honeywell Trendview Minitrend GR QX (43-TV-16-10) - Automate Control Engineering Ltd.
Honeywell’s Minitrend electronic data recorder represents the latest in recording technology and provides the ability to capture continuous and batch data electronically, making the analysis of data easier, faster and more reliable. 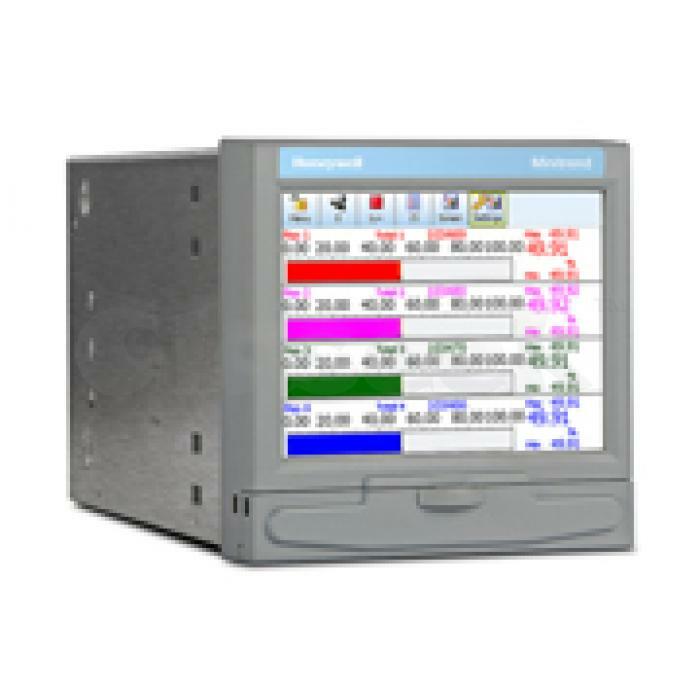 ​Minitrend uses a 5.7” high resolution digital TFT display that provides clear, bright images and provides a wider viewing angle of the process data than other display types. The touch-screen interface and graphical icons make it easy to use, while the display can be customized to access the best representation of process data. It records data in a secure digital format, eliminating interpolation errors that can arise from transposing data from a chart to a spreadsheet for analysis. The Minitrend supports up to 16 analog inputs that handle T/C, RTD, Linear and 10Ω/53Ω input sensor types, allowing direct connection of the sensor to the recorder. It can store data to an SD card and/or USB memory stick.